Beautiful LEGO is a veritable feast for Lego-lovin' eyes! Our entire family enjoyed browsing and staring at the amazing images within this book. 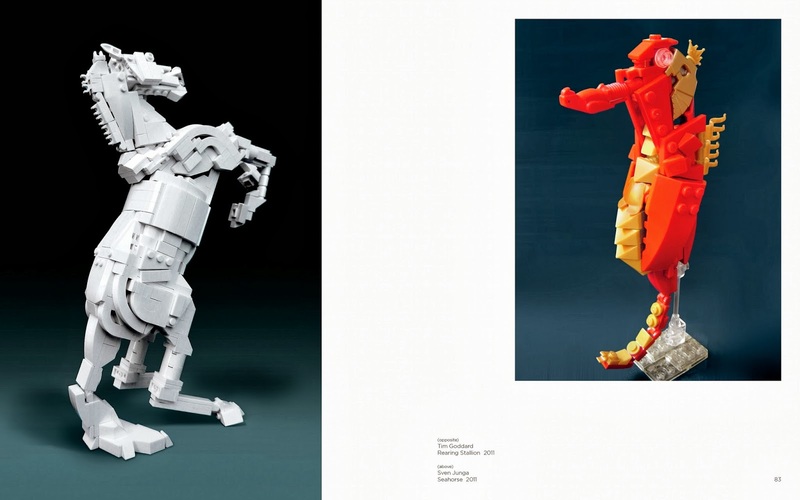 This is not your typical how-to LEGO guide book. Rather, it is a collection of photographs of the amazing things that other (brilliant) people have created with their LEGOs. The book is divided up into sections, showing off various animals, movie characters, vehicles, cube men, aliens, and astounding-looking landscapes. Truly, the cover art on this book speaks entirely for itself. 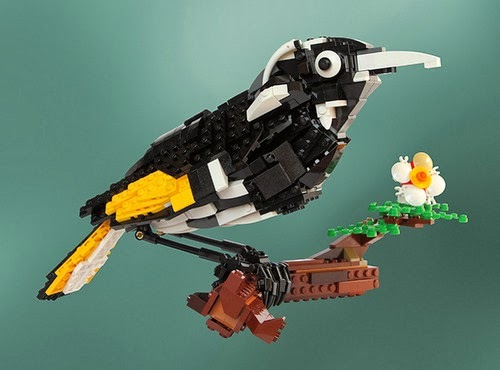 Do you want to look at jaw dropping LEGO pieces of art? Look no further! 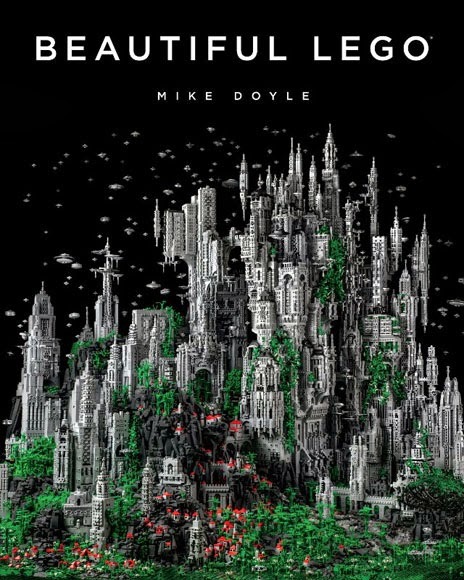 For LEGO enthusiasts, this book is a must see! ** I can't fail to make one note about the book. 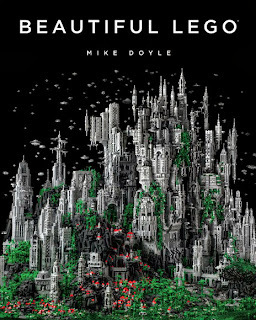 Despite the fact that the title is "Beautiful Lego" there are some rather ugly Lego creations contained within. For example, there's one sculpture called "The Doll" which looks as if you can peel back the skin and see the 'blood and guts' of the doll on the inside. I think it looks creepy and not at all beautiful. There are a couple of less than beautiful additions. However, if I had to slap a percentage on creepy vs. astounding, I would say this book is 5% creepy and 95% pure awesome. Many thanks to No Starch Press for sending a copy of this book my direction in order to facilitate this review. I received no additional compensation for this post. And all enthusiastic opinions are 100% my very own. Sounds amazing. I can't imagine figuring how how to do those things. But I always did enjoy when my guys would build the kit that we bought, and then take it apart and build something completely different. They've also said that building with Legos for years really helped them in putting furniture together as they got out on their own. An absolute must for LEGO enthusiasts! What!? An excuse is needed to buy Legos!? I know people with LEGOs on their WEDDING REGISTRY! I just ordered it for my husband...as an anniversary gift. I'm not sure if that's lame or not.